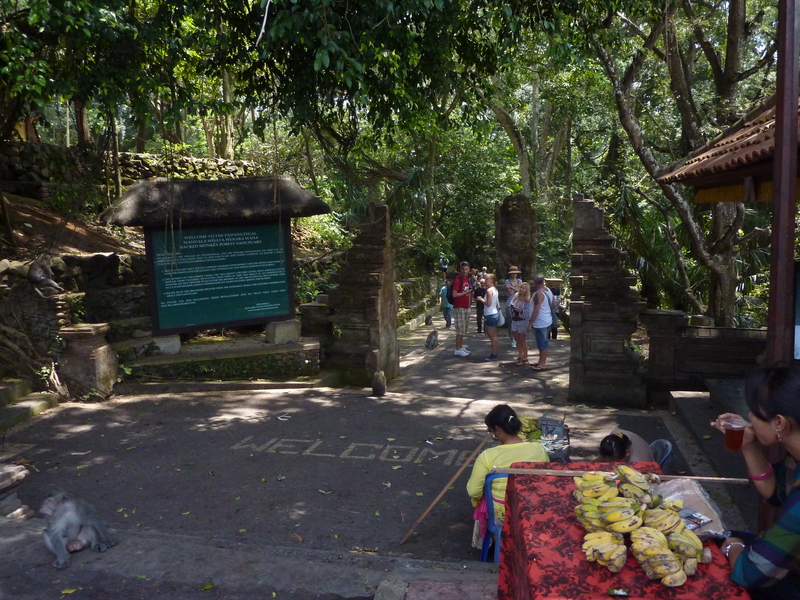 One big attraction is the Monkey forest….where the monkeys roam freely and you can tell they are used to being around humans and having their way…. 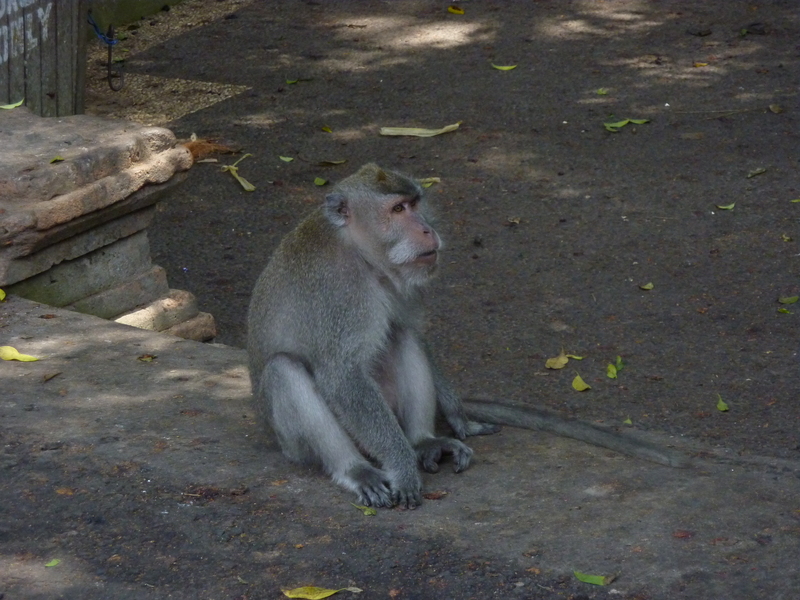 Look at this little fella…of course he was by the gate….no problem with Monkeys….ehhhh….but, think I’ll pass…..No Jungle Book this time…later…little fella…. 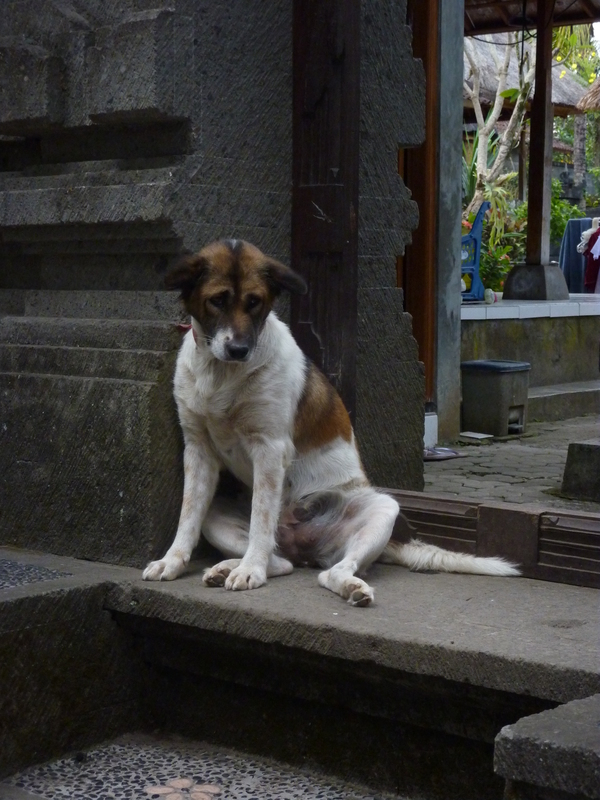 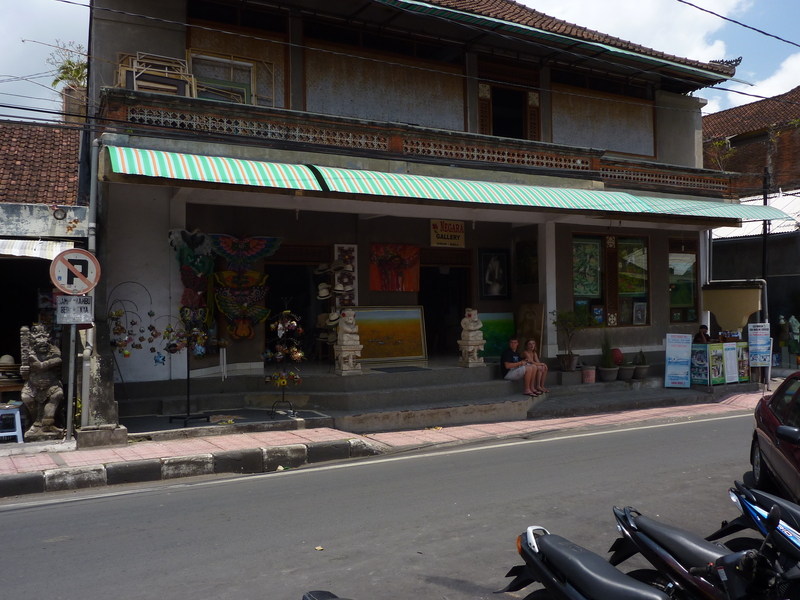 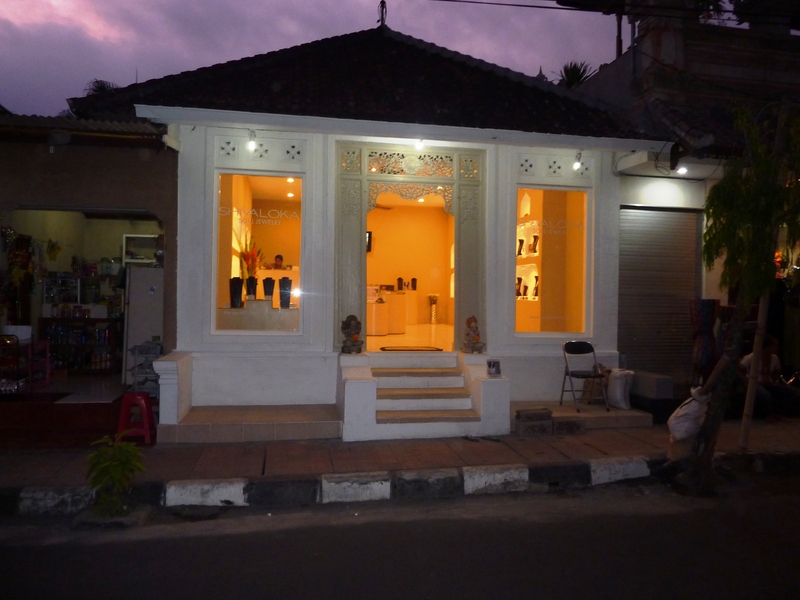 Plenty of Arts shops for the those so inclined…..good works also…if you like the Balinese style…. 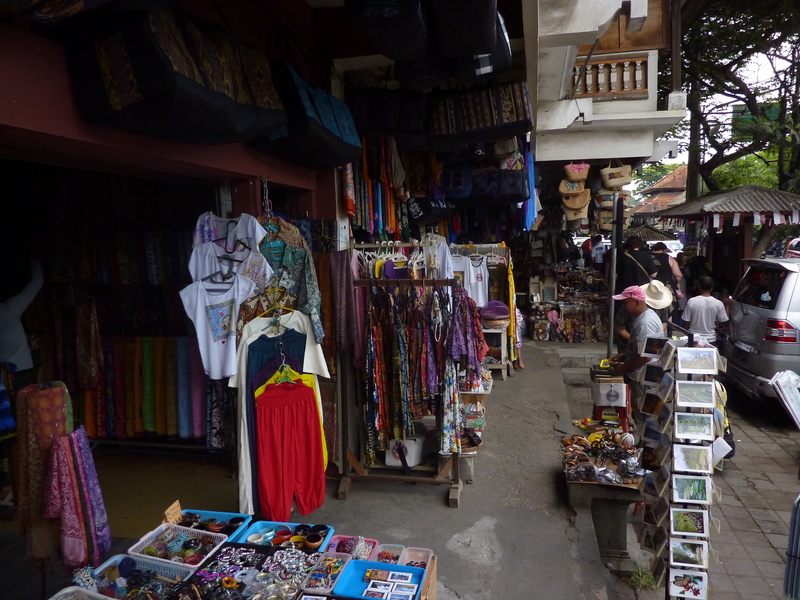 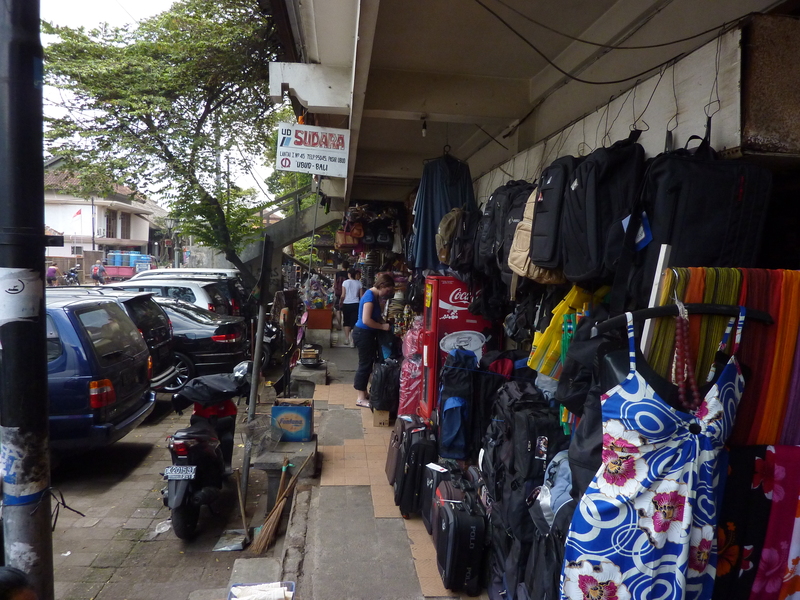 Shopping is ‘Market Style’…so there are plenty of locally made items…quite exotic actually and if you are the bargaining type, then this is your place….watch yourself though….these folks drive a hard bargain…. 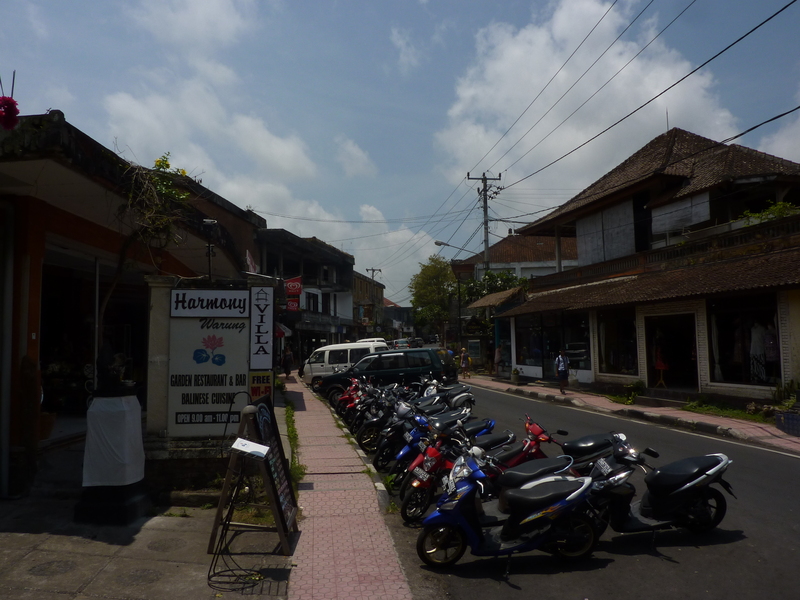 Let’s not forget the ever present scooters…. 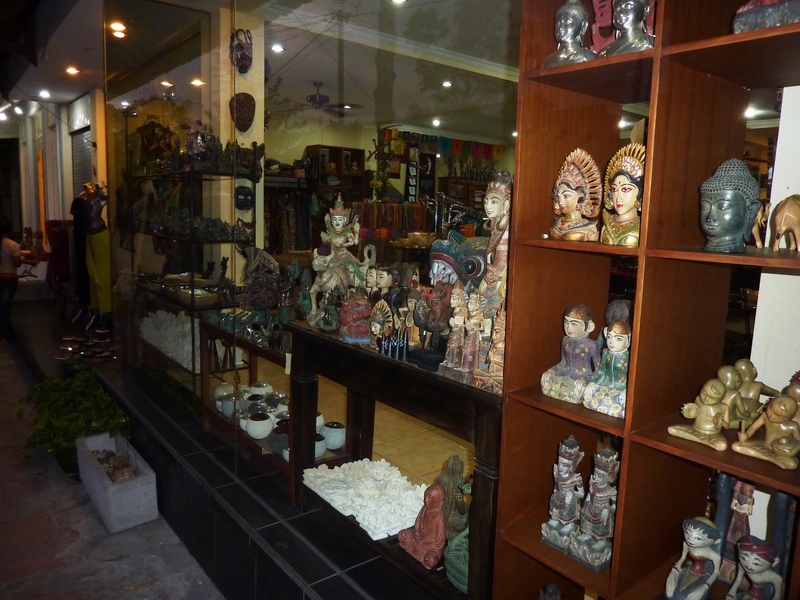 Very nice boutique shopping also…bring your cash…plenty of exotic items…. 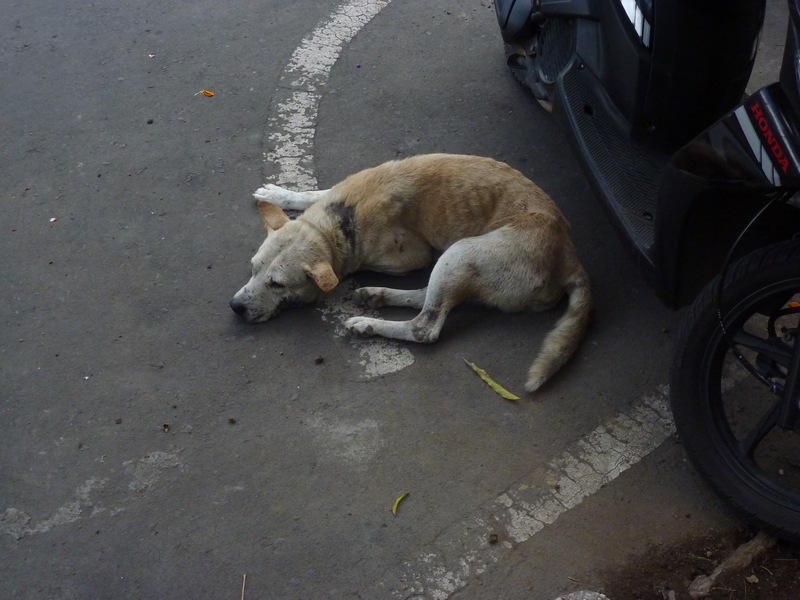 In my Elvis Presley Voice…”Thank You….Thank You Very Much”….bowing….